Monster Tires carries a large selection of tires for Terex 860 backhoes. Replace your old worn out tires with some quality tires from Monster Tires at a price that’s the lowest in the industry. Whether you are looking for an All Terrain or Tradition Tread type we have the right tire for your machine. Turn to Monster Tires for all your Terex 860 backhoe tire needs. Here at Monster Tires, we have a knowledgeable staff that is available to answer your questions and provide customer support. If you have any questions about what Tire Package for Terex Backhoe you need, or how Construction Tread Tires for Terex Backhoe work, we are here to help. Our job is to give you the information and resources you need so that you can get your Terex Backhoe back to work and rolling. 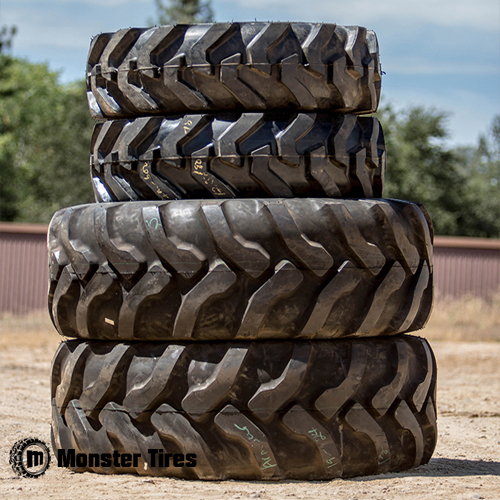 Trust in Monster Tires for your next set of Terex Backhoe tires!